Which MYOB software should I choose? 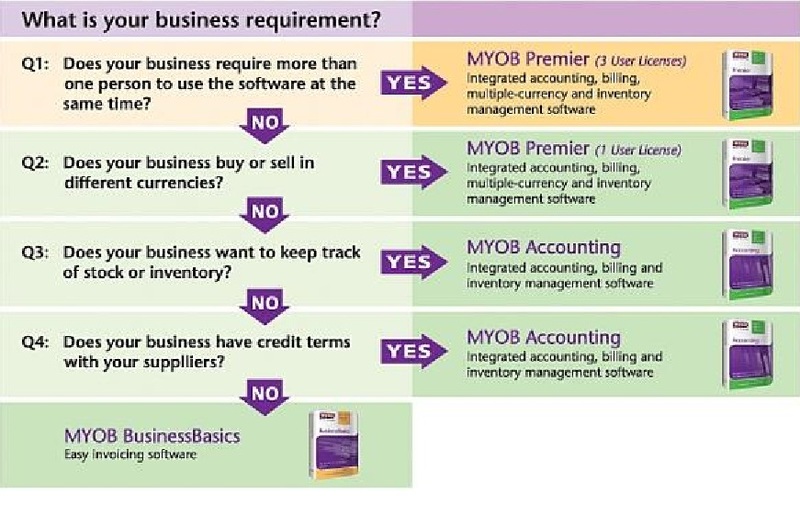 In order to help you make the correct choice of MYOB software, we have prepared a set of 4 simple questions. Answer the questions as it relates to your business, and the answers will lead you to choose the correct MYOB software for your business.